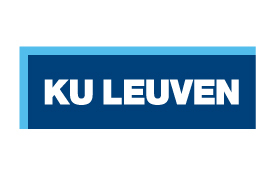 KU Leuven brings together fundamental and applied research activities in its LASA centre (Leuven research centre for Aero & space Science, technology & Applications). Research topics in the field of astronomy include asteroseismology, the study of stellar evolution and cosmology. Instruments are the 1.2m Mercator telescope (La Palma), and the Herschel, ISO and CoRoT science satellites. In plasma astrophysics, magnetohydrodynamics models are being developed for application in space weather research. The environment of microgravity is also used to study physical processes in liquid and solid phase, and in the development of new materials. The effect of microgravity on the cardiovascular system of astronauts and their autonomous control is being studied. Pictures taken by earth observation satellites are used to support the validation and refinement of numerical analysis models for vegetation systems, agricultural development and forest evolution. In education, KU Leuven offers postgraduate Master programmes in Space Studies, and initial Master programmes in astronomy, space technology and earth observation. Ph.D. programmes are also available.